CJ McCollum won't be traveling with the Trail Blazers for their upcoming road trip. The Portland guard is still dealing with a lingering knee strain he sustained March 16 and will remain behind for the trip, coach Terry Stotts told reporters. Terry Stotts says @CJMcCollum will NOT go on the team’s upcoming four-game road trip. 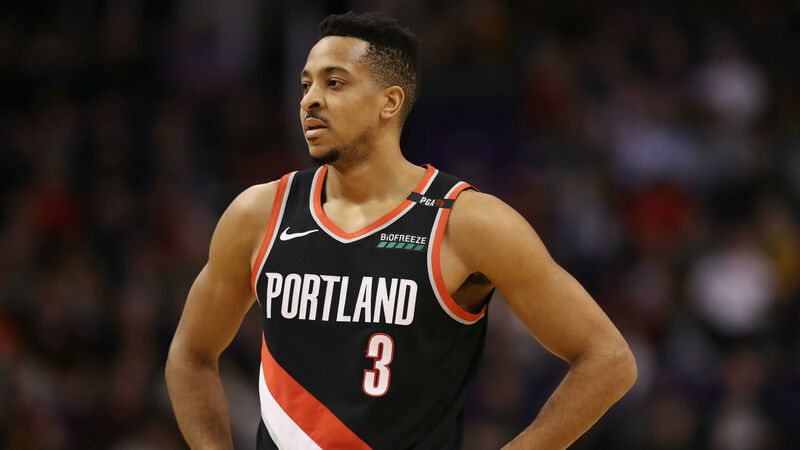 According to Stotts, McCollum is "progressing well," but isn't at the level where he can play. The Blazers have nine games left in the regular season and sit at fourth in the Western Conference. With the team guaranteed to make the playoffs, many have called for McCollum to sit out the rest of the regular reason. McCollum hanging back is the latest bad news for Portland — center Jusuf Nurkic is out for the season after suffering a gruesome compound fracture to his leg in Monday's double-overtime win against the Nets.